This post was inspired by a recent analysis on the reception of Polish migrants by the NUM in Wales in 1940s and 1950s by Daryl Leeworthy over at his History on the Dole blog. It had formerly been an article that I was trying to write on the subject, but has been on the backburner for a long time. 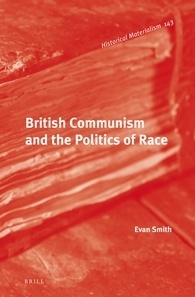 Sections will be included in my forthcoming book on the Communist Party of Great Britain and the politics of ‘race’, which will be published by Brill’s Historical Materialism series. As usual, feedback is welcome! When Afro-Caribbean workers started to migrate to Britain in large numbers during the 1940s and the 1950s, the Communist Party was one of the principal organisations that appealed to these immigrants. Many of those who were attracted to the Communist Party had been political activists or trade unionists in their home countries and looked to the Party, as both an anti-colonial force internationally and an influential trade union presence domestically. The Party had a tradition of involvement in the anti-colonial movement, with chief theoretician on anti-colonial policies, R. Palme Dutt, citing Stalin’s Foundations of Leninism: ‘Stalin emphasized that “the victory of the working class in the developed countries”, e.g. in Britain, “is impossible” unless this common front and alliance with the struggles of the colonial peoples is established’. Viewing the people in the British colonies as ‘fellow fighters… against the common enemy’ of British imperialism, the Party welcomed the black immigrants and attempted to incorporate them into the Party, with varying levels of success. The Communist Party acknowledged that racial discrimination was evident in Britain, but for the most part, this was attributed to a ‘prejudiced, stupid and sometimes vicious minority’, identified as ‘fascists’, ‘Tories and employers’ and ‘Leaders of the Government’. 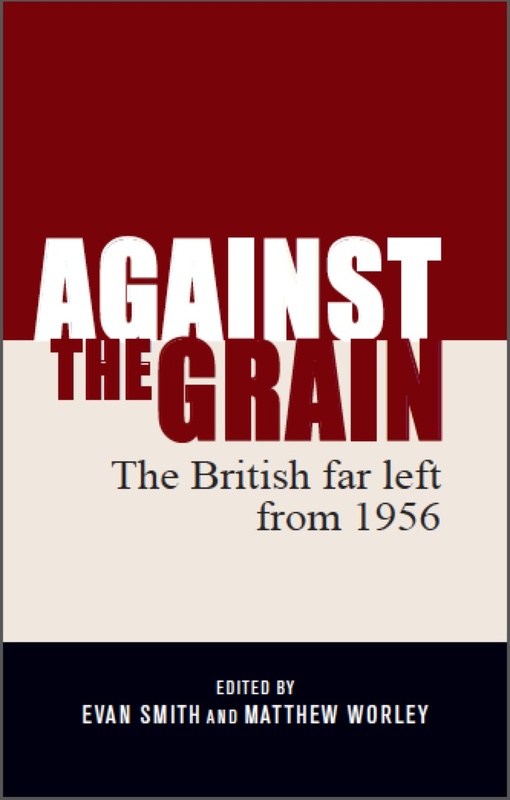 This largely absolved the working class from being responsible for acts of racial discrimination as race prejudice was largely seen as ‘a conscious part of the policy of the most reactionary sections of British capitalism’. However the Party did admit that ‘amongst a minority of workers, some racial feelings still exist’. In the 1955 pamphlet, No Colour Bar in Britain, the CPGB welcomed immigration from the Commonwealth, claiming that the arrival of ‘colonial workers’ was a ‘great opportunity before British working people’. In a declaration of CPGB policy, the pamphlet stated that the ‘attitude of the Communist Party is clear… It welcomes the arrival of colonial immigrants’, stressing that ‘colonial people are British subjects’ and were entitled to enter Britain freely. For immigrants from outside the Commonwealth, the Party’s attitude was much more divisive. In May 1946, the Labour Government announced the formation of the Polish Resettlement Corps, a ‘noncombatant military unit… in which Polish veterans were encouraged to enrol by promise of resettlement’ to direct Polish workers into ‘essential’ industries, such as construction, agriculture and coal mining. The TUC and various unions ‘voiced suspicions about threats to jobs and conditions of employment’, as well as the ‘potential threat’ to British working class politics and culture posed by these European recruits. The Communist Party was heavily involved in opposition to the migration and settlement of Poles and other Eastern Europeans in the late 1940s. As the polarisation of the Cold War began to take place, the CPGB greeted the establishment of the People’s Democracies and was, in the words of socialist journalist Paul Foot, ‘upset that anyone should not volunteer to enjoy the rigours of Stalinism in the Russian satellites of East Europe’. The Polish workers were labelled ‘fascist Poles’ and were treated with ‘accustomed shabbiness and chauvinism’ by the Party. In the Parliamentary debate on the Polish Resettlement Bill in early 1947, the two MPs who opposed the bill were Phil Piratin and Willie Gallacher (Communist MPs for Mile End and West Fife respectively). Piratin declared that the Polish Resettlement Corps was ‘an affront to the Polish Government and a hindering of its progress’, and a ‘dangerous move for this country to maintain a body of men under a reactionary leadership’. In a 1946 leaflet titled ‘No British Jobs for Fascist Poles’, the CPGB claimed that ‘at least a third’ of the 160,000 Polish troops in Britain ‘actually fought for Hitler’, while ‘the remainder are fascists who do not wish to return to their own country’. The CPGB claimed that ‘nearly 2 million organised British workers have expressed their opposition to the presence in this country of these Polish troops’ and the Party proposed repatriating them to Poland where ‘they should accept the democratic will of the majority of the people and work for the reconstruction of their own country’. if the Government would send home Anders and his Poles, many of them fascists, a further 265 camps occupied by 120,000 Polish troops, could be freed, and made available to house the people. These accusations were similar to the racist falsehoods that numerous people accused Commonwealth migrants of, which the Communists routinely refuted in their anti-racist activities. The CPGB saw the Polish Resettlement Corps, routinely described as ‘Anders’ Poles’ after conservative Polish leader General Anders under British command, as an ‘anti-Soviet [and] anti-democratic’ force, whose presence in Britain was ‘obviously insincere’. While depicted by the British Government and British industry as a solution to the post-war labour shortage, the Communist Party claimed that the Poles of the Resettlement Corps had no desire to ‘be absorbed as loyal citizens of this country’, but looked to ‘use Britain as a temporary base from which to pursue, at some future date, an armed crusade against the U.S.S.R. and the new Poland’. The Daily Worker quoted a statement by the Polish Embassy in London, saying that the resettlement of Poles was ‘nothing but diplomatic eyewash’, adding ‘No sensible person… can understand why training for civilian jobs should be carried out according to units and arms’ – evidence for the Communist Party that Poles in Britain were organising resistance to the Polish Government. 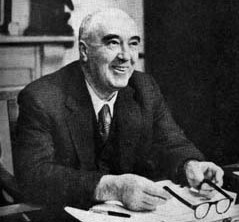 Welsh miners’ leader and member of the CPGB’s Executive Committee, Arthur Horner announced in 1945 that the Communist Party would ‘not allow the importation of foreign – Polish, Italian, or even Irish – labour to stifle the demands of the British people to have decent conditions in British mines’. In the 1946 leaflet, the Party declared that there was ‘no room in Britain for fascists’ and that there was ‘no reason why British jobs should be given to these Poles’. In February 1947, Horner, now General Secretary of the National Union of Mineworkers (NUM), spoke against foreign workers in the mining industry, declaring that the Government ‘might get Poles or displaced persons but not coal’. The Party declared that the Poles ‘should be sent home, to work out their own salvation’ and according to Paul Foot, Piratin and Gallacher ‘never missed an opportunity to point out that the Poles were dirty, lazy and corrupt’. In Parliament, Piratin routinely asked the Government whether Polish workers were trade union members or willing to work as directed by the Ministry of Labour. Piratin was accused of having a ‘vendetta against Poles who want to work here rather than return to Communist Poland’, but Piratin claimed that his persistent questioning was ‘merely to ensure that such Poles who are in this country do not in any way scab or blackleg on British labour’. I can remember in 1947 we paid wages to thousands of Poles for months and months on end. They never came into this industry and never did a bloody day’s work… There were thousands of Polish ex-army men in camps… A shower of arrogant bloody swine, ex-officer bloody class, and the coal board paid them wages for months on end. In a 1961 pamphlet, John Moss wrote that immigration had little effect on the total population increase that Britain had experienced in the early post-war period, but the Party still objected to the presence of around 100,000 Poles and other Eastern Europeans and their apparent drain on resources. This campaign against Polish immigration and settlement ran counter to the very arguments the CPGB had been using to convince British workers that immigrants from the Commonwealth were not in competition for employment, housing or welfare. Back in 1947, R. Palme Dutt discussed that the ‘crucial shortage of man-power’, linking the CPGB’s anti-colonial programme with opposition to the Polish workers. As Dutt argued continually through the late 1940s and into the 1950s, Britain’s maintenance of its colonies, its role in NATO and its other activities during the Cold War caused a huge drain on its economy, resources and manpower. Dutt cited that in November 1946, over 1.5 million men were in the armed forces, while another 474,000 were ‘engaged in making equipment and supplies for the armed forces’ – ‘a total of close on two millions [sic] or one-tenth of the available man-power’. Meanwhile more than half a million workers were needed in British industry to assist with reconstruction, with the British Government enthusiastically recruiting European labour, including the Poles. Dutt lamented the fact that the Government’s solution was ‘sought to be found in the settlement of Polish fascists in Britain or the retention of German prisoners of war’. For Dutt, decolonisation and end of Britain’s involvement in ‘imperialist commitments in the Near East or the Far East’ was the solution to Britain’s labour shortage, rather than recruiting Polish ‘fascists’. The Communist Party were also sceptical whether the deployment of the Polish Resettlement Corps to the mines would actually have any impact upon the labour shortage, with the Daily Worker reporting that less than 2,000 Polish workers – ‘not half of whom are trained miners’ – would be available by mid-1947. In an interview with the Evening Standard’s Industrial Reporter, Arthur Horner, under the headline ‘Foreigners: Mr. Horner Says NO’, stated that ‘[e]ven if the Poles were willing to come into the industry they could not be taught English and be trained to work in the mines in less than six months’. Thus the Daily Worker’s Industrial Reporter, George Sinfield, asked rhetorically, ‘Is this infinitesimal force worth the big and detrimental repercussions it might have if it were used?’ If this was the case, the implication the Communists were making was that the British Government was not interested in recruiting Polish workers to fill the gaps in the labour market, but for a more sinister political purpose, possibly to rein in militancy amongst the miners or provide assistance to anti-Communist forces in the early manoeuvres of the Cold War. The Daily Worker posed rhetorically whether to Labour Government’s moves to nationalise coal production was to be counter-balanced by ‘the introduction of men who hold trade unionism in contempt’ or ‘the introduction of men who are avowed opponents of their own Government, which is backed by all working-class parties in Poland’. I ask you, does it make sense that we allow 500,000 of our best young people to put their names down for emigration abroad, when at the same time we employ Poles who ought to be back in their own country…? But it would be rash to conflate the attitudes and motives of the Communist Party with that of the Trades Union Congress. Although the CPGB was influential in some trade unions, it would not have been able to influence the decisions of the TUC General Council. It is also important to note that it was during this time that Cold War was taking shape and that anti-communist sentiment started to grow within the British trade union movement, specifically within the higher echelons of the TUC. As Richard Stevens has demonstrated, during the late 1940s and throughout the 1950s, ‘[t]he TUC remained deeply involved in anti-Communist activity’. While the CPGB’s opposition to the Polish workers can be viewed, ideologically at least, as contradictory to their general anti-racist position, the TUC’s policy on ‘race’ and immigration during this period has long been described as ‘muddled’. The exclusionism of the trade unions opposed Polish and other Eastern European workers can be viewed as similar to their opposition to workers who migrated from the Commonwealth. The general policy of the TUC, as Barry Munslow wrote, had been to ‘play down the subject, stress the need for immigrants to integrate and oppose special provisions’. The TUC General Council expressed the need for immigration controls and implicitly accepted that it was the immigrants that were ‘the problem’ and the ‘view that immigration should be controlled flowed logically from that premise’. 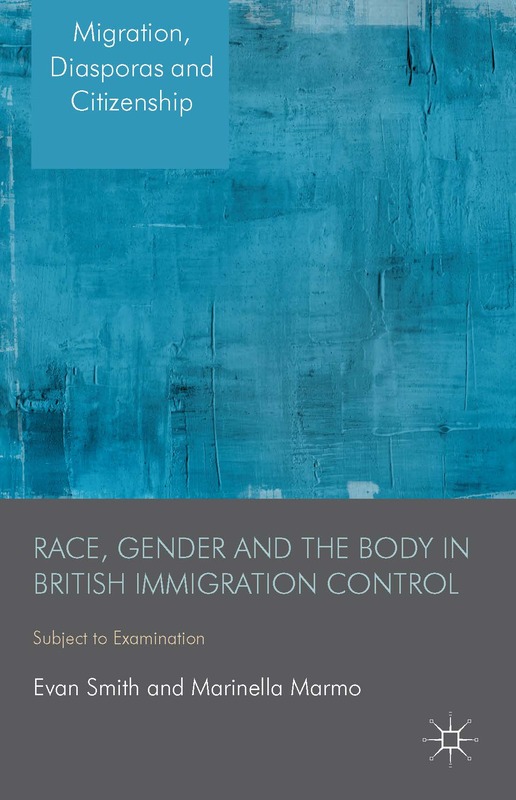 While the Congress opposed, on paper, racial discrimination, their position on immigration was that ‘immigrants were a problem and their arrival in Britain should consequently be controlled’. [h]ostility from rank and file members arose from the perceived ‘threat’ that the workers posed as a result of prodigious output performance and the mining skills they brought or through domestic and social tensions. While fears about job security and unemployment may help to explain why racist sentiments were expressed by trade union members, it cannot excuse that Polish workers faced discrimination based on their nationality. As Kenneth Lunn declared, ‘[b]y any reasonable definition, a policy of “Poles out first” is racist’. In 2004, Paul Burnham stated that ‘[t]he response to the Polish migrants is not an episode that reflects any credit on the left in Britain’. The opposition to the Polish workers in Britain in the late 1940s has been overlooked by many historians of the British left and of British immigration, contrasted with the research concentrated upon the impact that black migration had upon post-war Britain and the left’s anti-racist work in the 1960s and 1970s. But when it has been the focus of research, the opposition has been construed in several different ways, with the actions of the Communist Party of Great Britain during this period under particular scrutiny. Some have used the TUC’s opposition, shared by the CPGB, to portray the British labour movement as nationalistic protectionists, who opposed Polish migrants, just as they opposed migrants from the Caribbean and South Asia. Others have used the CPGB’s opposition to demonstrate their loyalty to Stalinism and their descent into nationalism, following the Popular Front politics on the Second World War. However the Party’s opposition to the Polish workers has not been contrasted with their acceptance of West Indian migrants. 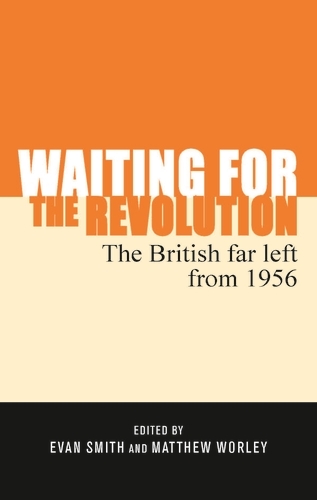 This presents a dilemma for those who want to essentialise the CPGB as either inherently racist or inherently Stalinist, as both inclinations can be found within the Party’s disparate approach to post-war migration. The Party’s support for the Soviet Union did affect their position on Polish workers who did not want to return to the Soviet bloc, but it doesn’t explain why they were receptive of West Indian workers or why the TUC adopted a similar approach. This piece has argued that the CPGB’s opposition to the Polish workers was partially inspired by the Party’s loyalty to the Soviet Union, but the Party was also imbued with a sense of Soviet-inspired internationalism and anti-colonialism which saw the Communists (on paper at least) champion West Indian migrants who came to Britain in the late 1940s as comrades against imperialism and capitalism. The Party welcomed these migrants who arrived in the early post-war period, declaring in 1955, ‘It is most urgent that the Labour movement… set out to welcome the coloured workers who come to this country and win them for the trade unions’. However the anti-racist rhetoric of the CPGB literature did not always filter down into the Party’s rank-and-file, nor was the Party able to counter the often xenophobic attitudes of the wider labour movement. The CPGB was primarily made up of skilled and semi-skilled workers and in the in the early post-war era, it was significantly representative of the nation’s working class. The Communist Party, by recruiting workers, could not be immune to some forms of racial prejudice amongst its members, with racist beliefs harboured within the working class and the institutions of the labour movement, such as the TUC. This wider chauvinism in the labour movement can also be a partial explanation for the hostility directed towards the Polish workers, that reflected a streak of nationalism or ‘jingoism’, but also a misplaced apprehension towards migrant workers in a time of economic and industrial uncertainty. The opposition to Polish workers put forward by the CPGB is a murky episode in the Party’s history, but the reasons for this opposition, like that of the wider labour movement, are much more than complex than other scholars and commentators have previously suggested. At the same time, the vocal (and leadership endorsed) opposition to the Poles seems an aberration in the history of the CPGB’s anti-racist work, where the Party made quite significant efforts to highlight the issue of racism in Britain and recruit Commonwealth migrants into the CPGB. But similar to the longer history of the CPGB’s anti-racism, the Party tried to balance its position between its commitments to the anti-racist and anti-colonial struggles and its attempts to maintain its influence to the wider labour movement, which in the end, cost the Party support from both sides. The different ways in how sections of the British labour movement have reacted to migration from Europe is still a contentious issue today, as the free movement of labour within the European Union allows many migrants from Central and Eastern Europe to work and settle in Britain. In early 2009 a significant number of workers went on unofficial strikes across Britain in response to several companies employing non-union workers, primarily from Italy and Portugal. The aim of the strikes seemed to be quite varied, with a wider range of different organisations and interest groups intervening. Some saw the strike as a response to employers using non-union labour to drive down wages, while others focused on the supra-capitalist structures of the European Union. But the most controversial element of the strike was the slogan, ‘British jobs for British workers’, used by some involved in the strike to rally against foreign workers, the European Union and the New Labour Government. Although many denounced the use of this slogan, the fact that it was raised shows that issues faced by the British Labour movement, and the Communist Party, in the 1940s and 1950s in regards to migrant workers still remain today. The response to migrant workers by the British labour movement has often been one of solidarity, but resistance has reared its head on many occasions, but even this resistance is informed by a number of different factors, including xenophobia/racism, fear of competition, issues of class and international concerns. As Catterall and Gildart have argued, ‘even the most enlightened sections of organised labour could take reactionary measures when faced with economic uncertainty and threats to job security’. This article has shown, despite the anti-racist, anti-fascist and anti-colonialist work that the British labour movement and the British left has conducted over the years, opposition to foreign workers has been an problem that it has suffered from on a number of occasions, and one, unfortunately, that seems to still be of concern in the twenty first century. But while any forms of racism or xenophobia within the labour movement must be countered, it is just as important to understand the reasons for this racism and how it is manifested.